One Port, GSM 900/1800 MHz. High quality material can ensure that it will be used for long time. LED backlighting, HD LCD dot-matrix LCD and Characters display. Searches dialed and received calls optionally. Calls, ringing volume is adjustable. Sends and receive short messages. With the function of hands-free conversations, redial, and the incoming calls display, quiet and refusing the calls etc. Ni-MH battery as a back-up power, when power off, it can maintain a normal conversation. The time of call can be lasted 3 hours. With rechargeable back up battery. The GSM Desktop Telephone provides excellent voice quality along with robust cellular services to enable a variety of applications to offices, homes or remote locations. 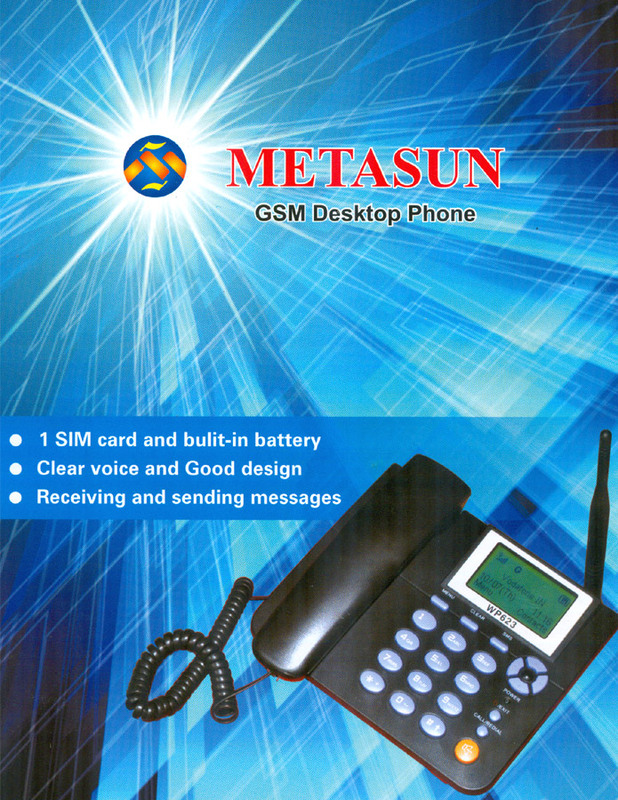 This GSM Desktop Telephone is the perfect for the person who always works from their desk. 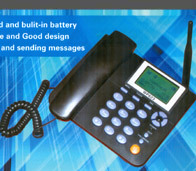 The Wireless Desktop Telephone features Big Button design, easy and convenient to operate.